The Shirelles, an all-girl singing pop and rhythm and blues group that was active from 1956 to 1982, was the first African American female group to top any charts. They were formed in 1956 at New Jersey’s Passaic High School. Shirley Owens, Beverly Lee, Doris Kenner, and Addi “Mickey” Harris entered their school’s talent show after a gym teacher had recommended they compete when he overheard them singing together. Their classmates were impressed with their performance, and one of them had her mother, Florence Greenberg, the owner of Tiara Records, set up an audition with the group. Originally called the Poquellos, Greenberg convinced the girls adopt the name Shirelles which sounded similar to their their favorite band, the Chantels. Their first single, “I Met Him on Sunday,” was recorded on February 7, 1958 and had some successful radio time. Encouraged by that success, Greenberg sold the rights to the song to Decca Records, but the label dropped the Shirelles after the group could not produce any singles that matched their initial triumph. Greenberg, however, used the profit from selling the single to start a new label, Scepter Records. 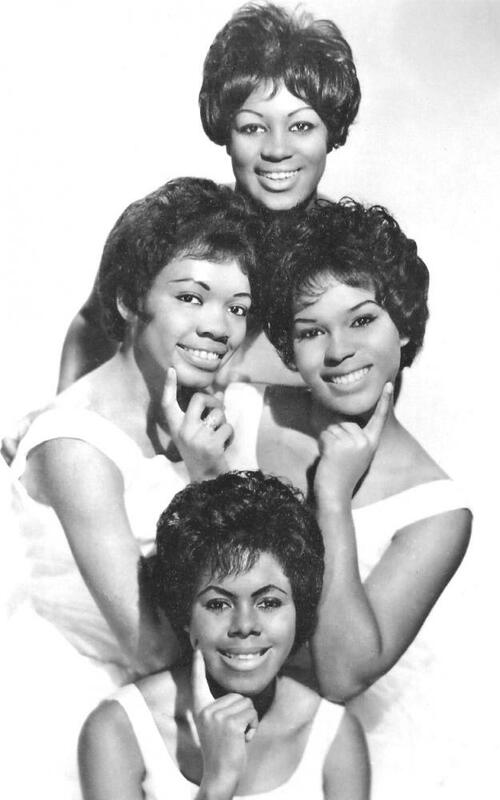 The Shirelles signed with the label, and in 1959 released the single, “Dedicated to the One I Love,” which initially failed to gain recognition. However, a year later in 1960, they released “Will You Love Me Tomorrow,” which became their first hit record. Although many listeners initially thought the group was comprised of white females, the Shirelles became the first African American girl group to top the charts. The song was written by soon-to-be-legendary composers Carole King and Gerry Goffin and was initially disliked by Shirley Owens who believed it did not match the group’s style. She was persuaded otherwise just before its release. The band tried to leave Scepter in 1964, but because of a legal complication, they were forced to stay on the label. Four years later, Doris Kenner left the band to care for her family. She returned after the Shirelles had signed with United Artists Records in 1970, and then RCA in 1971. The quartet continued to write and perform together until an abrupt end in 1982. While performing at Hyatt Regency in Atlanta, Georgia, band member Mickey Harris died of a heart attack on June 10. Throughout the following decades, tributes were made to the band, and they received numerous accolades. The Shirelles were inducted into the Rock and Roll Hall of Fame in 1996, and soon afterward were awarded the Soul of America Music Award. Baby It’s You!, a musical about the band, was created and staged from 2009 to 2011. Members of the band have engaged in multiple legal battles. In 2011 they filed suit against the producers of Baby It’s You! for the unauthorized use of their names and likenesses. They also filed suits against the record companies that claimed their royalties from Scepter. They won those lawsuits. Shirley Owens and Beverly Lee are the only living members of the Shirelles. Fred Bronson, The Billboard Book of Number One Hits (New York: Billboard Books, 1988); Renee Minus White, “The Shirelles hit Symphony Space” New York Amsterdam News 99:53 (December 2008); Nick Talevski, “Shirelles,” https://africanamerican2.abc-clio.com/Search/Display/1503186 (login required).